The image may take some time to load. Press your browser back button to return to lesson description. 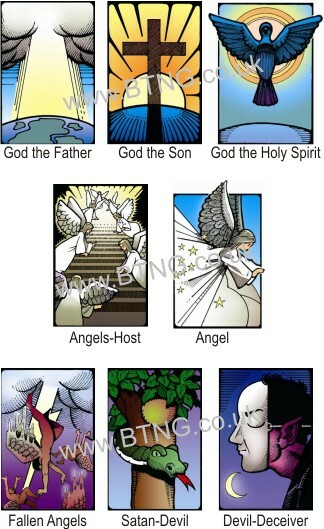 Eight illustrations which can be used when teaching lessons on the Spirit Beings contained within the Bible.